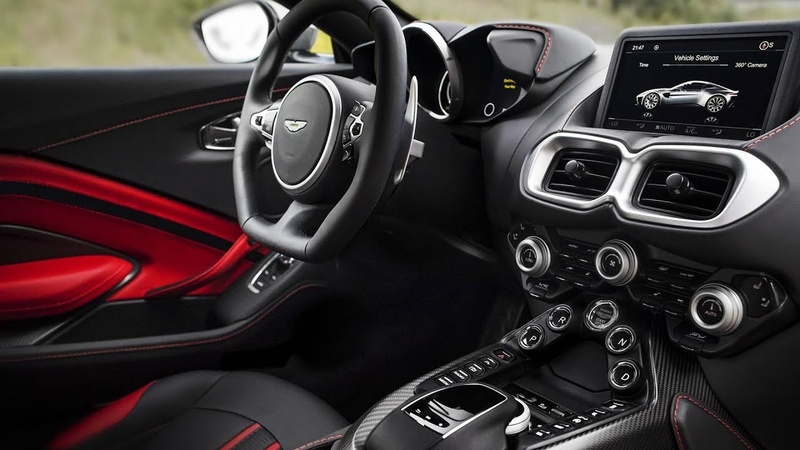 Aston Martin is in the middle of a revolution, attempting to draw new buyers in with a fresh design language – and it seems that this plan is working very nicely indeed for the British automaker. The DB11, for example, is a handsome vehicle. It’s got the right lines, swoops, and curves, and they’re all in the right places. I’m especially fond of the front end with the sculpted clamshell hood. The vertical lines on the grille help contrast the edges that flow from the front of the vehicle to the back. 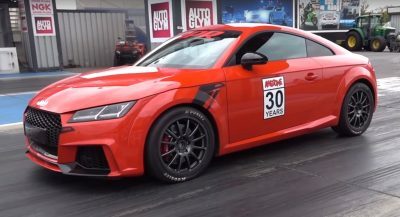 It’s an amazing car, and it’s also enjoyable to drive, which adds to its allure. It’s not just the DB11, though, as the new Vantage is a looker, too. It’s funny, because I really like the front end of the DB11, but I’m more of a fan of the back end on the Vantage. The top part of the rear end looks like a curvier T, while the bottom of the rear fascia has an M-shaped part. There are so many jagged edges, hard lines and curves at the back. And I love them all. Are Aston Martin’s new vehicles pretty? Absolutely. 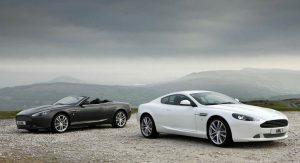 But are they prettier than the brand’s previous machines, and more specifically the DB9? I don’t think so. 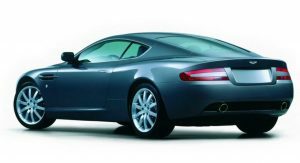 The DB9 was launched in 2003 as a replacement to the DB7. The grand tourer utilized an all-new chassis and an Ian Callum-designed body that made good use of aluminum. The car was powered by the same 6.0-liter V12 as the DB7, but was more powerful, as its output was upped to 444 hp and 420 lb-ft of torque. 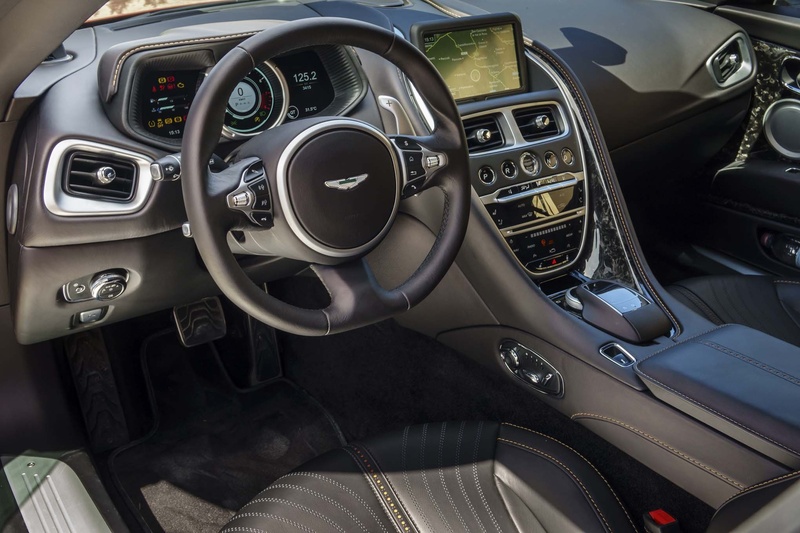 Since the DB9 came out at a time when dual-clutch transmissions weren’t all the rage, it could be ordered with a six-speed manual gearbox. 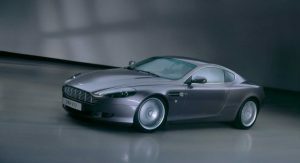 The original DB9 wasn’t just quick (it had a zero to 60 mph time of roughly 4.7 seconds and a top speed of 186 mph), but it was also breathtakingly gorgeous. Even when you look at today’s grand tourers, like the Bentley Continental GT, Lexus LC500 and Mercedes-AMG S63 Coupe, there’s something about the DB9 that makes it stand out. It’s not overly aggressive but has clean lines that have allowed the car to age incredibly well. The DB9 has no bad angle, which is something that can’t be said about a lot of new vehicles. The front end is beautiful, the rear end is beautiful, the profile is beautiful: I guess that makes it one the prettiest cars ever been made. 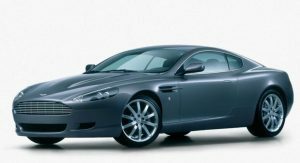 Besides being good-looking, the DB9 also helped Aston Martin through a tough time. 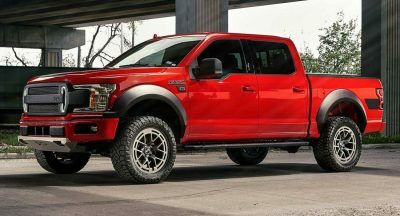 Ford got rid of the British automaker in 2006, making it hard to come out with anything entirely new. 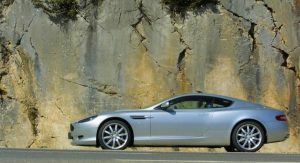 In a bit of a bind, Aston turned to making different cars that were based on the DB9’s platform, which is how the DBS, among others, came to light. 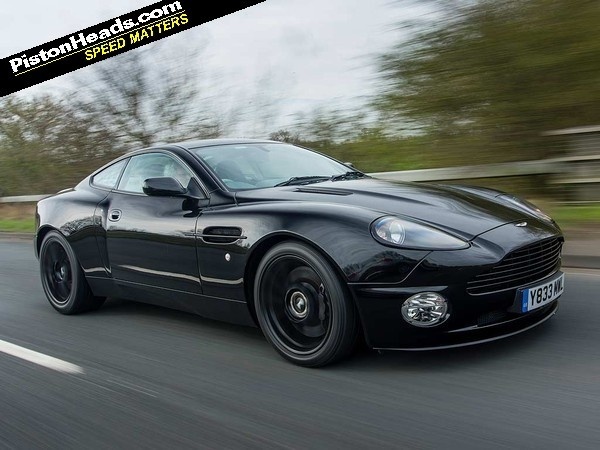 While the design of the DB9 has passed the test of time, the prices have plummeted. You can find clean examples with roughly 20k miles for less than $50,000, like this example on eBay. It won’t be the fastest car on the road for $50k or the best to drive spiritedly, but it’ll be the best-looking. 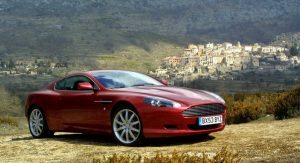 And if you’re planning a cross-country trip, few cars will be able to eat up the miles like the DB9. When you think about it, maybe $50,000 isn’t a lot of money for this stunning grand tourer after all. The new Vantage looks like an old Mitsu Eclipse with a bunch of mods. 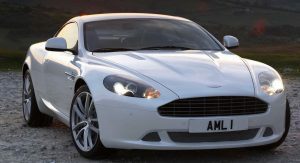 The new cars are pretty amateur compared to the classic Astons. 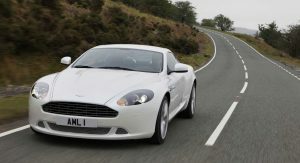 Just look at all of the controlled surfacing on the DB9 and the AM V8 Vantage, not to mention the 2001-2007 Vanquish. The radii, the sculpting, the beautiful curves, they all were painstakingly designed to work in perfect harmony. That is why they are still so stunning. 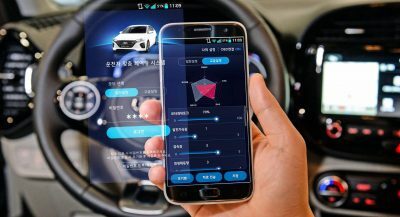 The new models ditch all of that for sharp edges, which smack of designing the thing with line drawings instead of utilizing a solid grasp of 3D. 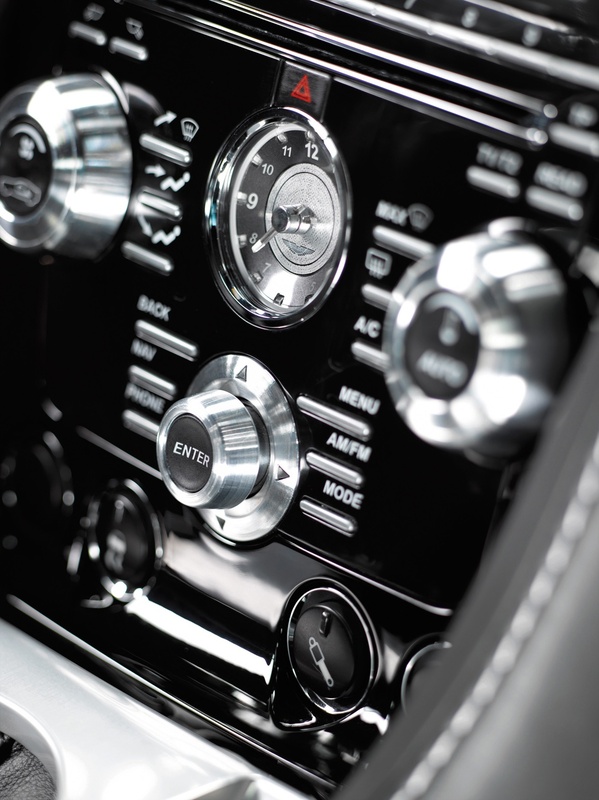 Even the interiors have lost the charm of the analogue watch-face dials and slim, wide buttons in the center stack. Modern Aston to me, is what a 15 year old thinks a classy GT car is, but a 15 year old Aston is what actually embodies timelessness and class. Here are some interior comparisons of the DBS and classic V12 Vantage versus the DB11 and the new Vantage. Note the use of materials and the way that the interior flows from one element to the next. 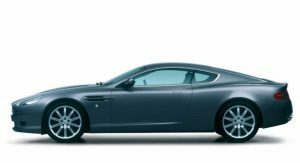 Interesting that old DB9/Vanquish/Vantage has a lot of parts from Ford bin. Like Volvo, Saab and so on while the new DB11/Vantage claimed to share no parts with others. Saab shared almost no interior switchgear with other GM models. I am not sure if you were comparing the Saab/GM relationship to Volvo/Aston Martin, but Saab was not part of Ford, that was GM. Ford had Volvo, Aston Martin, Jaguar, Land Rover and Lincoln under the PAG or Premium Automotive Group before selling off all but Lincoln. Yes, I am sure there were some elements like blinker stalks and door lock switches that were shared among them. The controller and underlying OS (if not the graphics) of the new infotainment system are straight from Mercedes, BTW. Ahhh right I think I was referring to Volvo. You know that’s what you get when you were drunk. The most achingly gorgeous Aston ever for me. The previous generation Astons are effortlessly cool and everything makes visual sense. The new ones are okay, but they are a bit overstyled and awkward from certain angles. I had to agree, DB9 design is timeless, and not because we are influenced by some British TV program whose host now working in US internet company. 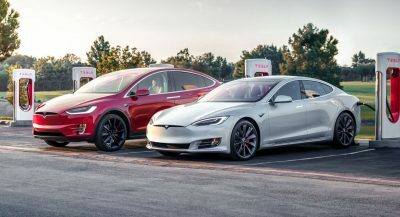 I know the new cars get a lot of flak but I do think they are beautiful cars. 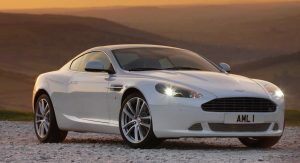 With that being said I do think the DB9 is one of the most beautiful modern cars out there. Especially the more recent updates to the outgoing model. IT LOOK GORGEOUS BUT STILL GUTLESS , UNRELIABLE, HARD TO REPAIR, AND OVERPRICE. 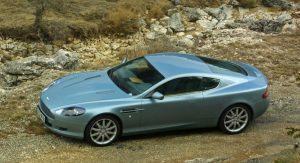 100% The current batch of “new” Astons look like crappy, russian kit-car versions of the stunningly beautiful previous Vantage, DB9, DBS, etc. This should be considered straight fact. And I’d honestly love to see who’d argue the opposite. Question… Should Aston let go of DB11 and just make DB cars, with 8 or 12 in the name depending on the engine? DB8 and DB12 ? And why is Vantage either the name of a car or a variant of an other? Someone knows? DB moniker comes from David Brown, Businessman that bought Aston Martin after WW2. cars were meant to be continuation starting from DB II (The so called DB1 is a car called 2 Litre Sports, the name was only used retrospectively later on). The DB moniker continues until DB6 which was last produced in 1968, the DB name is hiatus until Ford brought DB7 in 1994. When the time comes to replace DB7, Ford was concern that DB8 name would mislead buyer to think it has V8 engine (while DB9, as we know has 6.0 V12) and also they skipped DB9 to illustrate huge jump over DB7. Vantage was originally a name for high performance park first offered in DB4, while originally Vantage was meant as high performance version. In 1972 Aston Martin launched car called Vantage, which is actually a straight-six version of DBS V8 so in another word, an entry level model. 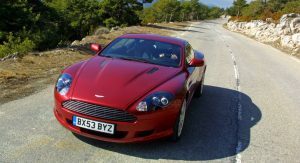 They revised the decision when launching V8 Vantage in 1977 and it was a fastest British car of that time, the Vantage moniker continues to denote more powerful version of Aston cars up until the Virage in 1990s. 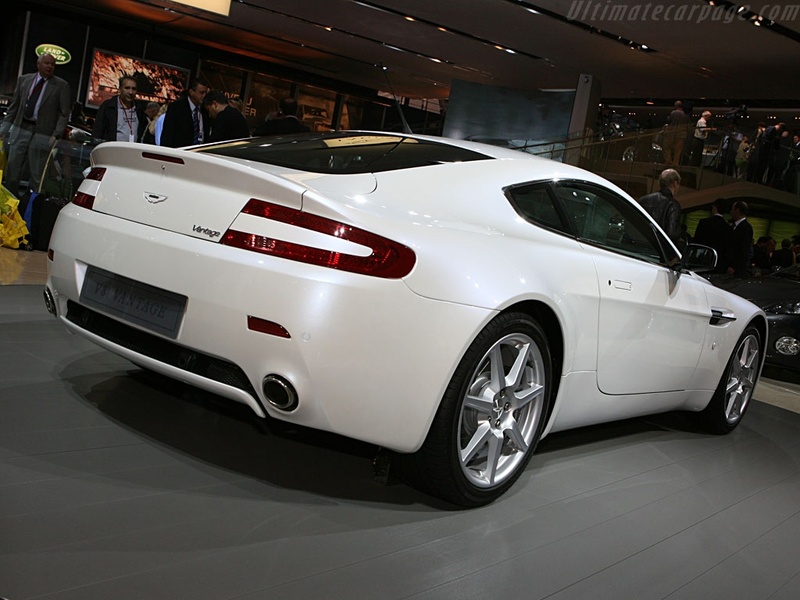 By 2004 however Aston revised the decisions and use Vantage moniker for the V8 baby Aston.